S/V Shardana is a professionally maintained, 2017 (Catalina 425) 43-foot Sloop built in the United States by Catalina Yachts, one of the world’s premier yacht builders. Catalina Yachts is a company with a long, successful history and with thousands of sailboats currently in worldwide service. 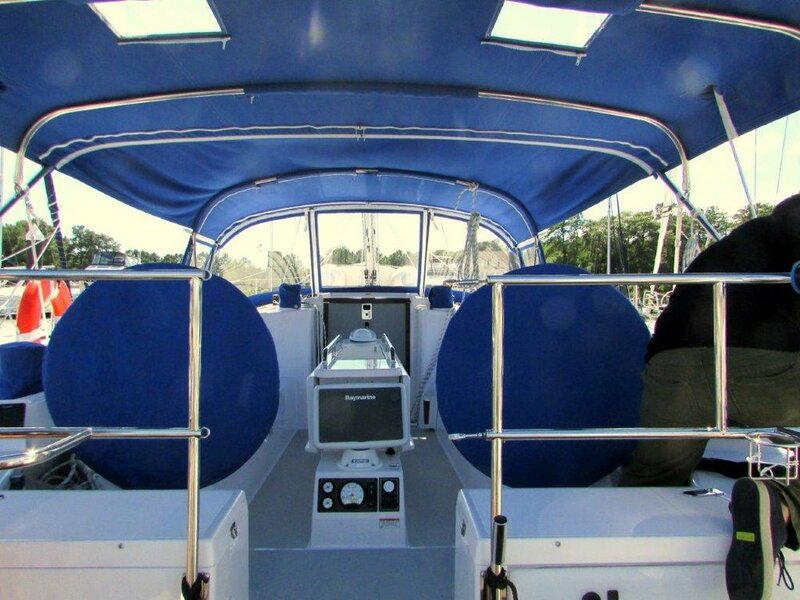 Shardana is documented by the United States Coast Guard and is fully insured, as are our captains. Shardana has three staterooms, full linens, blankets, pillows, towels, a full galley, BBQ grill, two heads (marine bathrooms), full electronics, a generator, air conditioning and heating, lots of cushions to lay out on deck, a dinghy with engine, and all of its safety equipment exceeds USCG minimum requirements. Shardana has been built so you can enjoy your day sail, weekend getaway or extended cruising vacation in luxurious comfort and safety. Your Captain will ensure you and your guests get to relax doing as much or as little as you desire. Ready to sign on? Book your adventure now. © 2018 Shardana Sailing Charters Inc.